In the brief hands on video, Engadget’s Dana Wollman runs through the exterior features, including the Gorilla Glass 3 lid which covers Asus’s signature “spun” metal design, the 13.3″ screen with its high 2,560 x 1,440 quad HD resolution, a spacious trackpad and a keyboard which was felt to have good travel. Check out the video at the source link below..
On Asus’s press website, the official press release goes into some detail about the two newly announced Ultrabooks, with the main difference between the two models being the lower (relatively speaking) screen resolution of 1920×1080 on the UX302. Apart for the screen the two devices will pack the same specs which will include a choice of an Intel 4th generation Haswell CPU up to a 28W Core i7-4558U dual-core, optional 512GB RAID0 SSD and either Intel Iris or NVIDIA GeForce GT 730M graphics. 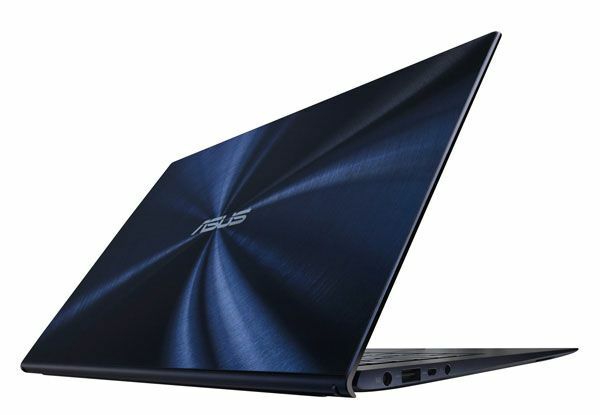 Other standard features include 802.11ac Wi-Fi, Bluetooth 4.0, USB 3.0, backlit keyboard and Asus’s SonicMaster audio technology. Pricing and availability have not been confirmed though Engadget expects them to be available sometime in Q4. It’s not as thin as the Primes have been, right? Is there any information about the discrete GeForce GT GT730M? Like about the battery uptime-changes of the Zenbook? Should come in at 15.5mm at its thickest point which should compare well. « Sony Vaio Tap 11 Offers Windows 8 in 780gm. Core and Pentium Options.